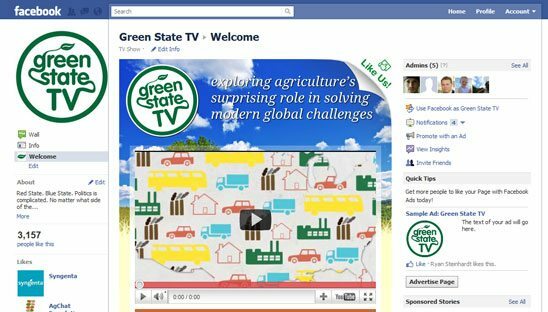 Green State TV is an online video program that seeks to engage people in conversations about agriculture, the environment and other important issues such as world hunger and sustainability. Based on some of Green State TV’s website branding, we created this nice custom Facebook page to primarily showcase their video episodes. Also added is some share buttons and an email sign up form.